GREENVILLE, S.C. – The No. 6 Clemson Tigers scored nine runs in the fifth inning after falling behind 6-0 to defeat Michigan State 9-7 at Fluor Field on a chilly Wednesday night. 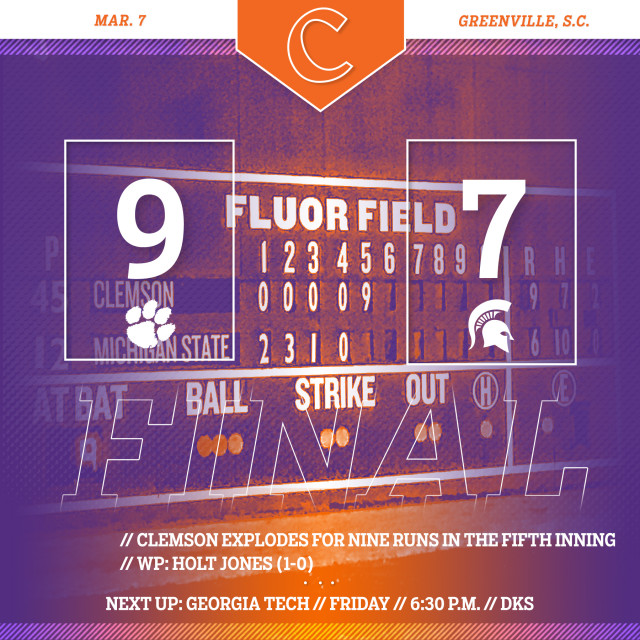 It marked Clemson’s eighth win in a row at Fluor Field and upped its season record to 12-1. The Spartans fell to 3-8 in 2018. The Spartans scored in each of the first three innings to take a 6-0 lead. 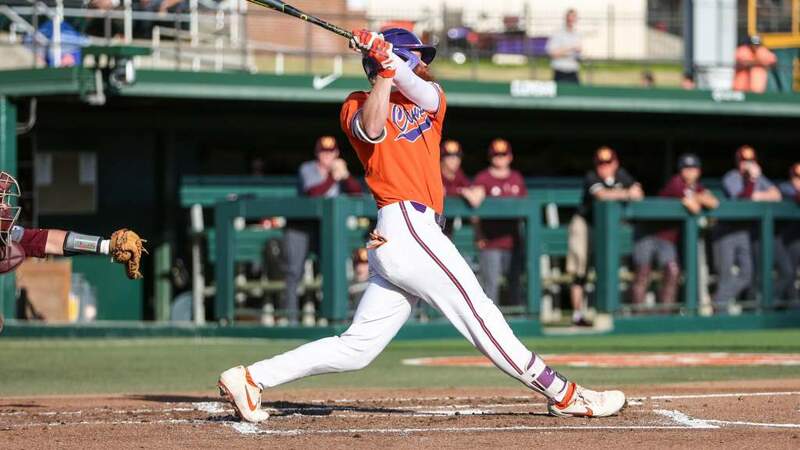 But Clemson rallied for nine runs in the fifth inning, keyed by seven singles and four walks, including two singles by both Logan Davidson and Kyle Wilkie. It was the most runs scored by Clemson in an inning since plating 10 runs in the third inning against Western Carolina on June 3, 2016. Tiger reliever Holt Jones (1-0) earned his first win as a Tiger by tossing 2.1 scoreless innings with three strikeouts. Carson Spiers recorded the last two outs to register his second save of the year. Evan Flohr (0-2) suffered the loss. Clemson returns home to begin ACC play, as it faces Georgia Tech in a three-game series at Doug Kingsmore Stadium starting Friday at 6:30 p.m., on ACC Network Extra. The first 1,000 fans receive trading cards of Tiger players and coaches.